Air Namibia on Friday commenced its flights to Accra and Lagos at a short but gorgeous ceremony at the Kotoka International Airport. The new route will provide direct connection between Southern Africa and West African countries, with flights departing from Windhoek as the hub. 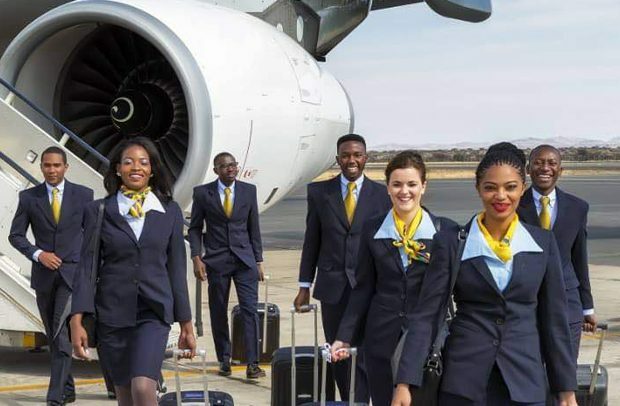 The convenient new service operates four times a week (Sunday, Monday, Wednesday & Friday from Windhoek), providing a smooth and convenient connections inbound and outbound to the airline’s regional flights. It would connect West Africa via Windhoek to and from Johannesburg, Cape Town, Luanda, Harare, Lusaka, Vic Falls, Gaborone, Walvis Bay, Durban and beyond. Also, the routing includes Windhoek-Lagos-Accra while the return will be Accra- Lagos -Windhoek. Air Namibia is closing a gap in the market by competitively connecting Southern Africa to West Africa less than six hours. “We offer an award winning on-board service delivered by our highly trained and professional crew which has enabled us to on several occasions be rated as the Best Regional Airline in Southern Africa, as well as the 2nd Best Regional Airline in Africa. Mr Masule thanked Ghana’s government, Minister of Aviation, Ghana Civil Aviation Authority and all stakeholders, who played a crucial role to ensure that Air Namibia returns to Ghana.